A few weeks ago, I read a post on my local village's FB page. 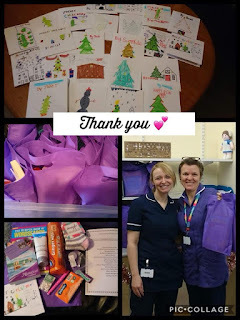 Cheryl Hutchinson, a woman who was starting up a business as a Jamberry consultant was inspired to give blessing bags to the local oncology department for their chemo patients in December and was looking for sponsors. She listed the sort of thing she was looking for and the fact that she needed to do 20 bags. As I know from readers that reading one of my books (indeed any Harlequin/Mills & Boon) can make time go quickly, I offered to donate a signed copy of one of my books for each bag. The woman agreed and then when she was picking them up, she mentioned a friend of hers was doing the same in Newcastle at the Freeman Hospital and had to do 45 bags. So in the end I donated 68 books. Thankfully after writing 26 books, I had a number of spare copies. I think that the whole idea is such a lovely one -- it is rotten to have chemo whatever time of year -- and I was pleased to help out. The bags have now been delivered. My thoughts and prayers are with each patient and their family who receive one this December. May their day be that little bit brighter. Cathy Duffy for donating goodies for the nursing staff. The children of Alnwick class at Shaftoe trust primary school for making the lovely cards for the bags. 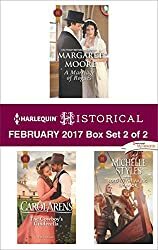 Michelle Styles for donating many of your wonderful books. GINGER BISCUITS - Ginger is known to help nausea and with chemo you are pretty sick. Or Shortbread as I’ve been advised bland tastes are often best. NOURISH Hand cream- Your skin and nails take a bit of a beating with Chemo so a great quality hand cream is a real comfort. COLOURING PAD Or Puzzle book & PENCILS - The reality is you spend horrendous amounts of time there and distracting yourself from reality is a blessing. An Impulsive Debutante and A Noble Captive, again for $1.99. Carlotta Charlton can't wait for her first season—until her impulsive behavior lands her right in the lap of notorious rake Tristan, Lord Thorngrafton! Tristan is cynically convinced that she's a fortune hunter. But he can't keep away from her. Several heated kisses lead to scandal and, one outraged mama later, they're on their way to Gretna Green. Catching his breath on the carriage ride to the border, Tristan decides it's time that Lottie learned her lesson. If she wants to play with fire, he'll notch up his seduction and set her ablaze!